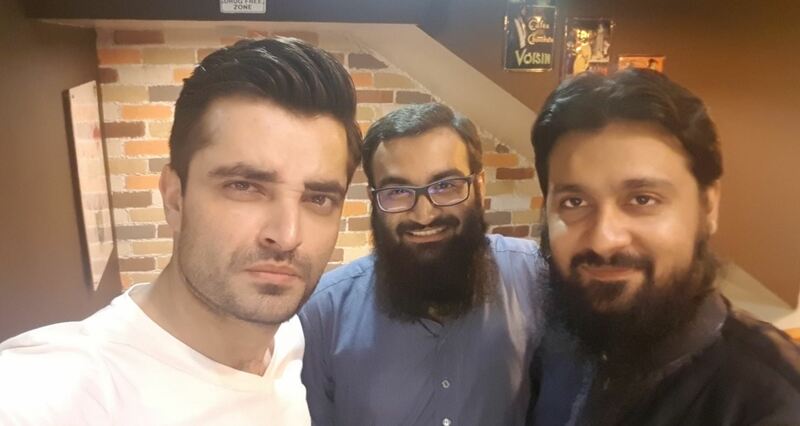 Social media actor and part-time film star Hamza Ali Abbasi has joined the Milli Muslim League after getting special permission from party founder Hafiz Saeed to do ‘scenes involving bikini clad ladies,’ The Dependent has learned. According to sources privy to both Hamza Ali Abbasi and Hafiz Saeed, the special request had been granted after much negotiation and deliberation between both parties. “Subjects as diverse, and yet intriguingly intertwined, as length of women’s clothes, item numbers, vulgarity in films, Pakistan’s social decay, Kashmir’s independence and the outcome of the general elections in 2018 were discussed,” confirmed a member common to both entourages who had been instrumental in setting up Hafiz Saeed’s interview conducted by Hamza Ali Abbasi after the former was put under house arrest. According to sources close to Abbasi, who had left the Pakistan Tehrik-e-Insaf after similar permission had been rejected, a compensation mechanism in the shape of interviews and other forms of social media content has been agreed. In a leaked WhatsApp conversation Hamza Ali Abbasi told a close friend that joining the MML doesn’t mean he won’t support the PTI in the future. “If you look into it both parties have the same agenda and same backers,” the recording available with The Dependent has Abbasi say. One thing is common in both hafiz saeed and hamza ali abbasi love pakistan.